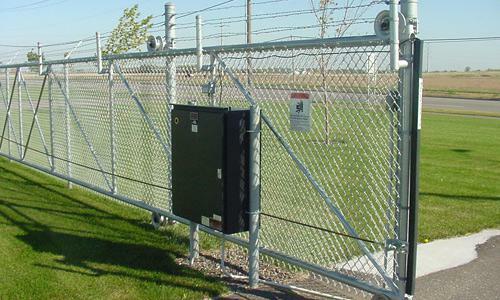 Strong, durable chain link fences are ideal for equipment yards at factories, industrial locations, government facilities and any other area where valuable equipment and vehicles are stored. Equipped with matching swinging or sliding gates, they protect your investment, while allowing easy access for authorized personnel. Easily installed by maintenance staff or contractors, they provide a cost-effective solution that fits into your budget. 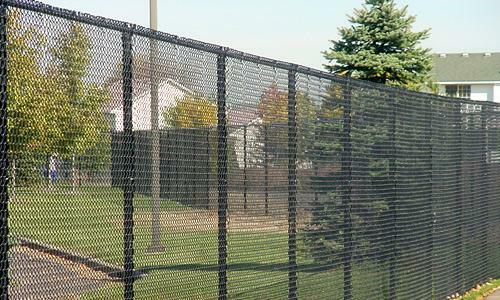 For outdoor storage of property and products, chain link fencing provides excellent security at very affordable cost. 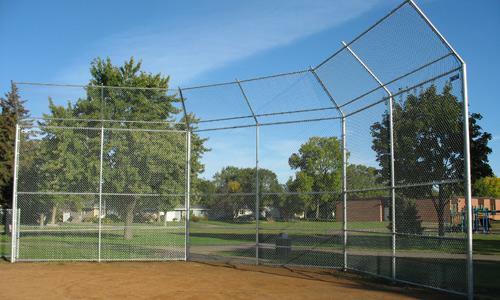 Whether you need protection for industrial products or for customer-owned products at storage, repair and maintenance facilities, a strong chain link fence is an ideal, cost-effective solution. We can create a complete materials list for your enclosure and ship everything to your location directly from the manufacturer for fast, low-cost delivery. Wherever employee or customer parking is required, security for vehicles and individuals is crucial. Thefts from parking areas are a common problem, since they are generally unsecured and not monitored by security personnel. 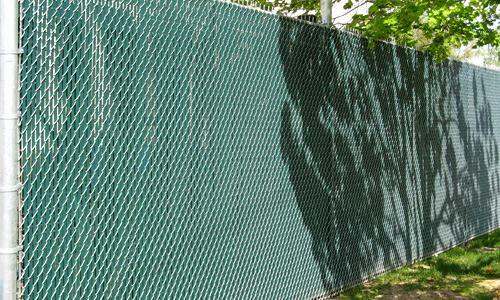 Chain link fencing provides more than adequate deterrence to prevent theft and vandalism. 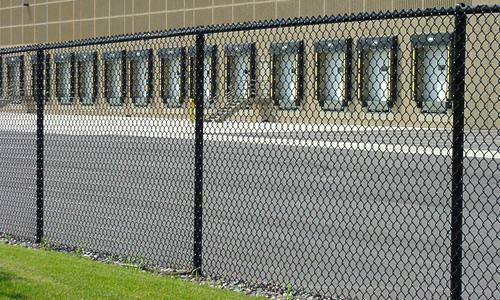 Matching gates provide access control to these facilities, where needed, minimizing staffing requirements for security. For a wide range of properties, including schools, hotel and resort properties, apartment buildings, senior living properties, hospitals and many others, providing adequate security to prevent unwanted trespassers from accessing the property is important. 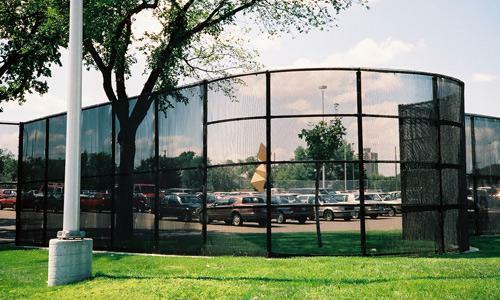 While attractive ornamental fencing may be ideal for boundaries facing streets, cost-effective chain link fencing is a better solution for other areas. 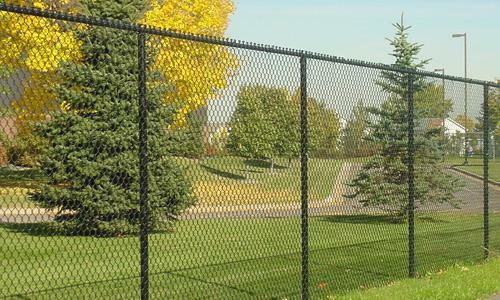 We can supply ornamental and chain link fencing materials for any project. 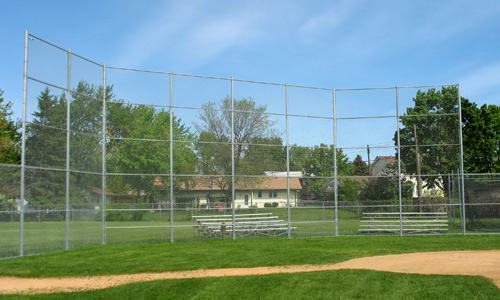 Perimeter fencing, backstops, batting cages, safety screening, court enclosures and a wide range of other needs can be met at these sports facilities by attractive, well-designed chain link fence projects. High visibility through the enclosure and physical protection for both participants and spectators at events are important priorities. Our specialists can create a complete materials list for you from your drawings and sketches, and arrange for fast, complete delivery of materials directly from the manufacturer. Our pricing is lower than local suppliers, and you’ll never have to wait for out-of-stock parts and accessories. 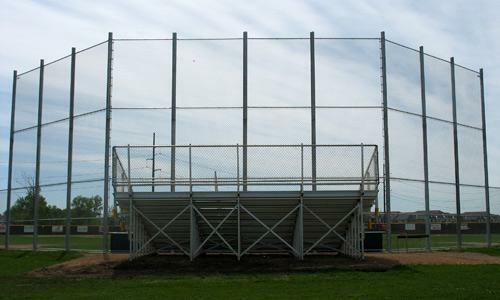 In many situations, secure enclosures are needed within larger spaces, and even indoors. 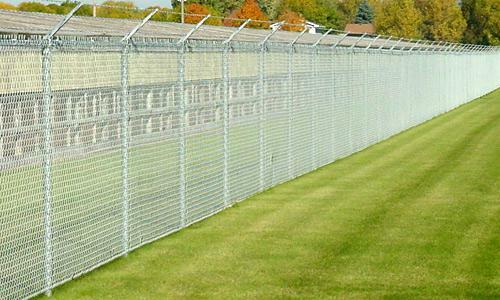 Chain link fencing is ideal for warehouse enclosures, screening and protection of mechanical installations, tool storage areas, animal control cages and many other applications. We can supply all fabric, posts, accessories and parts, including many that are not readily available from local suppliers. 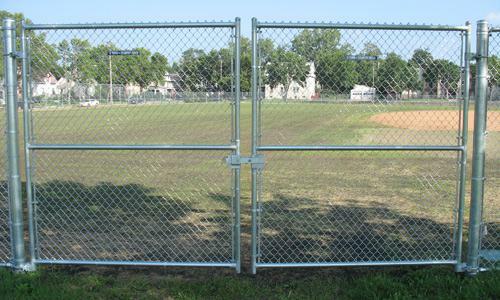 Floor flanges for posts and custom-sized security gates are just some of the features you can include in your design. 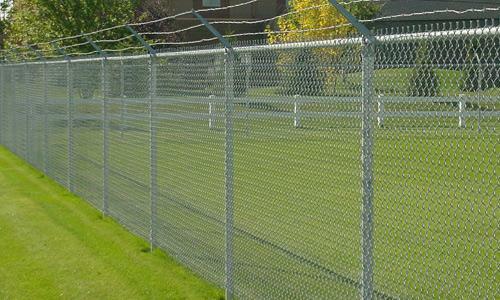 Colored, Vinyl Coated Chain Link Products – Vinyl coated galvanized chain link fabric, posts, and accessories are available in green, black and other colors. These options improve appearance, and allow you to match your fence to your surroundings. 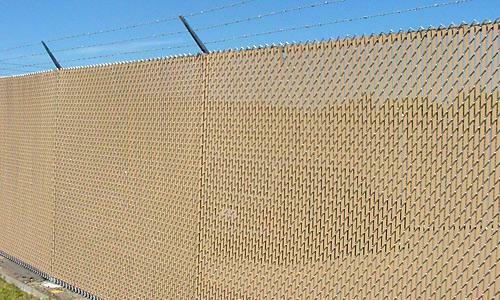 Chain Link Filler Strips – If reducing visibility through your fence is a priority, vinyl filler strips in a wide range of colors and textures are available. Quickly installed and cost-effective, these allow you to customize the appearance of your project. Custom Gates – We can provide matching pedestrian and vehicle gates for your installation in any size desired, along with gate operators, turnstiles and other access control products. All colors and finishes are available to be shipped directly from the manufacturer to your site. Special Fence Heights and Fabric Grades – Unlike local suppliers, we can supply you with materials and parts not normally stocked at local supply sources. 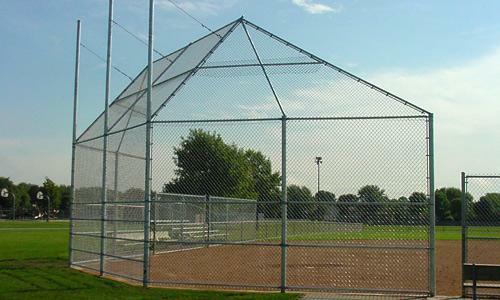 Fence heights up to 12′ or more, along with special, custom post lengths are no problem. Heavier gauge chain link fabric or smaller diameter mesh sizes are also available for order and direct delivery. 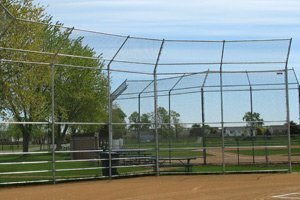 Don’t settle for a limited selection of chain link fence building materials, high prices and out-of-stock components from local suppliers. Your project deserves the best quality, best prices, and complete, on-time delivery of everything you need for a fast, efficient installation on your property. Contact the seasoned experts at our discount store to discuss your installation. We’ll be happy to advise you and help to create a complete materials list from your sketches and drawings. We’ll arrange for fast, direct shipping from the manufacturer. You’ll save on warehousing costs and benefit from our high-volume purchasing discounts. Your complete order that includes everything needed will also reduce installation delays, and reduce your overall costs.